In League of Angels 2 players step into the shoes of a hero charged by the League of Angels to recover an ancient artifact that has fallen into the hands of the Queen of Plague who has brought chaos upon the realm. 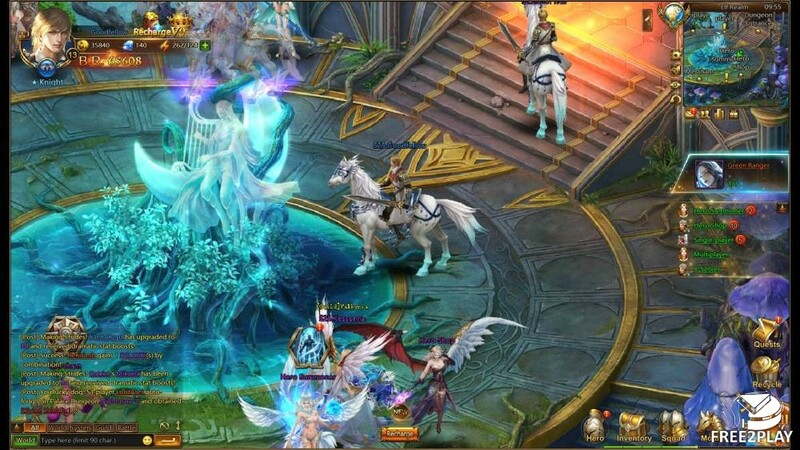 With the same classic League of Angels gameplay players will now experience a beautifully redesigned 3D look with new backgrounds, characters and animations and a variety of feature tweaks. The game can be accessed for free through your preferred web browser. The Queen of Plague has broken from her prison and with her Orc Legion has managed to come into ownership of the Might of Valor relic, a powerful tool that has managed to cloud the minds of many heroes and Angels of the world and bring them under her control. You have been given the duty of assembling your own team of heroes, defeating these fallen legends to break the spell, and recover the Might of Valor to bring an end to the Queen. 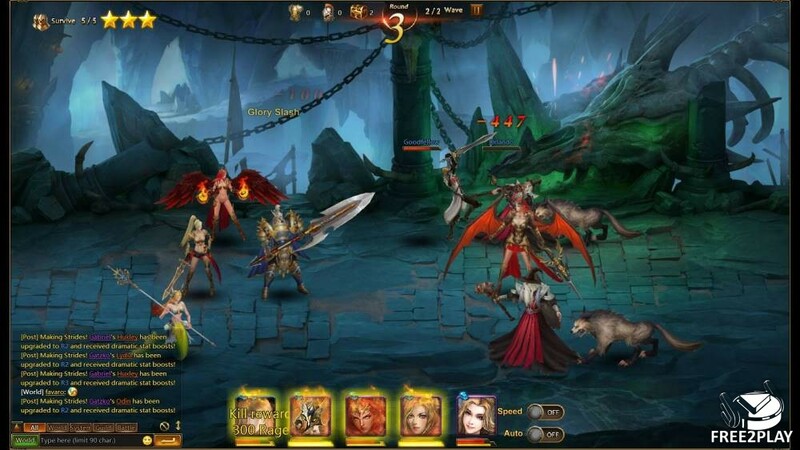 At its heart the game is an RPG with story content, seen primarily through the solo PVE campaign where players will battle through various stages to gain XP, resources and unlock access to their heroes that they might recruit. Building up a strong team is the aim of the game, by recruiting new heroes and levelling them up with various resources or equipping them with powerful armor and weapons, players must focus on building up the overall strength of their team as represented by their Battle Rating. The stronger the teams BR the higher the level of challenge they can take on, whether the various PVE features or facing other players in PVP in the Arena. 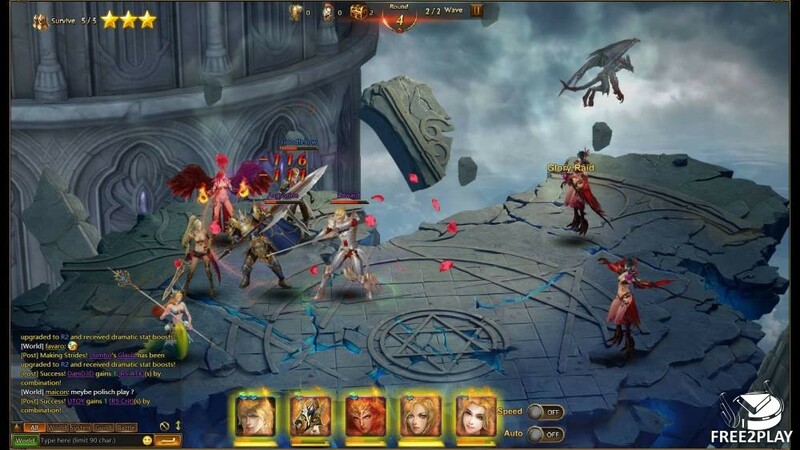 There are dozens of unique heroes that players will meet in the game; each of them can potentially be recruited to join a player's collection, each having unique skills that will assist the player in battle. The skills a hero has typically defines their role, DPS heroes have more destructive offensive skills, whereas Supports may have the ability to heal a single hero or even the entire team. By acquiring unique items players are able to level up their heroes to make them even stronger and grant them new skills, with players being able to level up each character individually. The position a hero sits in within the Squad formation also plays a vital role, each heroes skills will determine where that characters attacks will be made, e.g. attacking all of the front line, or attack the hero adjacent to them, so players must also try to combine these attacks and build some synergy between their Squad. 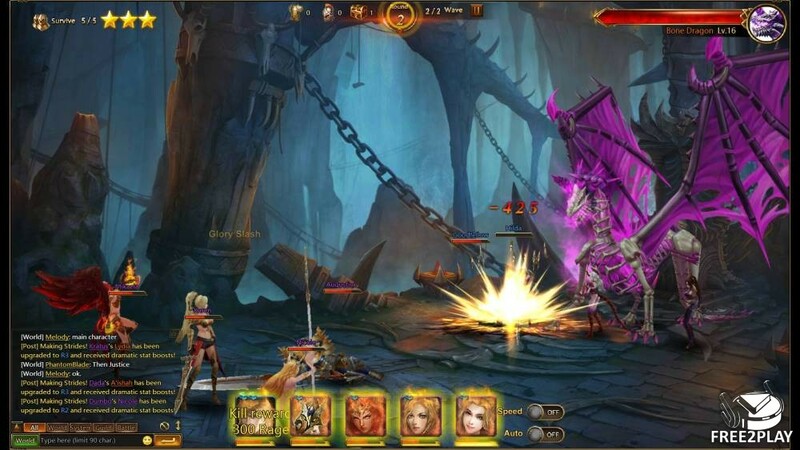 Combat is the main function of the game and is seen in both PVE and PVP; in PVE players have only a little control over their Squad, the combat is automated and both sides will automatically attack the opposing side, build up rage and then the player can trigger the heroes' ultimates. Once one side has lost all its fighters then the other side is the winner. PVE can be seen in quest stages, solo or multiplayer dungeons, various giant Bosses and more. Players can also challenge each other in the Arena, fighting in PVP they earn ranks and rewards by defeating opponents; combat is similar to PVE however players have zero control over the fight and the AI automatically triggers ultimates as soon as they become active.